Some of the players leading the global e-SIM market are Gemalto NV (Netherlands), Deutsche Telekom AG (Germany), Giesecke & Devrient GmbH (Germany), NTT DOCOMO, INC. (Japan), Infineon Technologies AG (Germany), Sierra Wireless, Inc. (Canada), NXP Semiconductors N.V. (Netherlands), STMicroelectronics (Switzerland), Telefónica, S.A. (Spain), and Singapore Telecommunications Limited (Singapore) among others. e-SIM is a digital SIM embedded in a mobile device that allows activation of a cellular plan without having to use a physical SIM card. e-SIM stores all the information which is necessary to authenticate and identify a mobile subscriber, allowing customers to save one or more operator profiles simultaneously on a device, and switch between them remotely. A simple device setup without the need to insert or replace a SIM card and range of new and improved mobile-connected devices are few of the advantages of e-SIM. The ability to switch between network providers in real-time that can prevent the subscriber from paying international roaming charges is one of the key advantages of e-SIM which is driving its market growth. 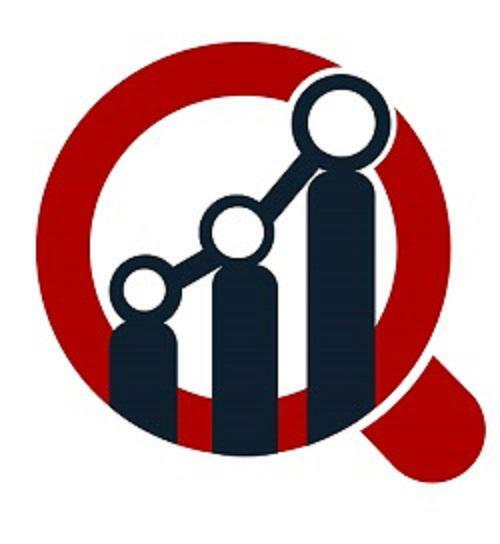 Acknowledging the kind of the growth, this market is garnering currently; Market Research Future (MRFR) in its recently published study report asserts that the global e-SIM market will garner a value of approximately 913.77 MN USD by 2023, registering about 28% CAGR throughout the forecast period (2017 and 2023). In 2017, the market had appreciated at a value of USD 204.74 MN. Additional factors substantiating the market growth include the higher adoption of IoT and favorable government regulations regarding telecommunications. The boosting M2M communication is likely to drive the e-SIM market during the forecast period. On the flip side, factors such as the growing security threats in wireless communication are expected to obstruct the growth of the e-SIM market. However, well-spread awareness about the importance of the e-SIM is estimated to support the market growth over the assessment period. By End-user Applications: Automotive, Energy & Utilities, Manufacturing, Retail, Consumer Electronics, and Transportation & Logistics among others. By Regions: Europe, North America, APAC and the Rest-of-the-World. Globally, the Asia Pacific region accounts for the largest market for e-SIM being a leading player in the industrial automation. Factors such as the increasing population, increasing adoption of smartphones, and new technology drives the e-SIM market in the region. China, Japan, South Korea, and India are expected to dominate the e-SIM market in the APAC. Moreover, the presence of IT & telecommunication industries also drives the e-SIM market in the region. The North American region is another lucrative market for e-SIM. Factors such as the growing adoption of advanced technologies and the early adoption of new technologies such as IoT and artificial intelligence (AI) and the presence of big players drive the e-SIM market in North America. The US, Canada, and Mexico are expected to dominate the global e-SIM market in the region during the forecast period. Highly competitive by nature, the global e-SIM market appears to be fragmented due to the presence of many players. Key players strive to deliver comprehensive solutions with adept technology and features. Growth in terms of technologies and product innovations are also expected to create strong investment opportunities for global players in the market. Most enterprises are expanding their technological capabilities to adopt different IoT solutions and better M2M operations. These companies have adopted inorganic strategies to expand their businesses, where partnership and collaboration accounted for a good percentage, whereas merger & acquisition accounted for the healthy percentage of the overall key development for the key players in the market. December 03, 2018 ? Google Inc. (US), a technology giant announced its shift towards the e-SIM technology that is embedded into the Pixel 2 (XL) and Pixel 3 (XL). e-SIM is arguably a convenient solution for consumers fumbling around to try to place a nano SIM into a small slot. However, until the most recent security update, Pixel 3 support for eSIM is limited to one carrier in the US ? Google Fi. Google did also briefly mentioned that it would begin a program for Android phone makers to use eSIM more easily and sets a standard across Android phones early on that will allow device makers to build eSIM-capable smartphones. December 13, 2018 —- IDEMIA France SAS, the global leader in Augmented Identity solutions announced that it has been selected by DTAC (Thailand), a leading mobile operator to offer connectivity on eSIM connected watches. IDEMIA?s Subscription Management platform (or remote SIM provisioning) is the technology that remotely connects the embedded SIM of a smartwatch to DTAC?s network without inserting a physical SIM card.